Seagrass meadows are widespread and abundant across Southeast (SE) Asia providing a myriad of ecosystem services that includes artisanal fisheries which support human wellbeing though livelihood provision and food security. 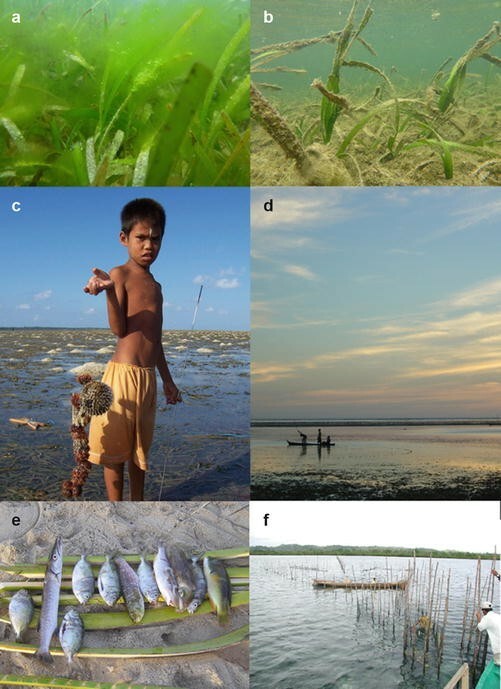 In addition to threats commonly associated with degradation of seagrass meadows globally, seagrass meadows across SE Asia are increasingly threatened by overexploitation of their productive fish and invertebrate assemblages. The abundance of small-scale fisheries across SE Asia means that fisheries management needs to identify socially acceptable and locally implementable controls on marine resource use that supports conservation at the same time as enhancing local livelihood interests. In this article we discuss the drivers of SE Asia seagrass meadow degradation and identify the need for increased focus on understanding socio-economic and cultural issues as on pure ecological information in conservation and fisheries management. Seagrass meadows are widespread and abundant across Southeast (SE) Asia providing a myriad of ecosystem services. There is a growing body of evidence demonstrating the role of seagrass meadows in artisanal fisheries, this role relates to fisheries productivity which supports human wellbeing though livelihood provision and food security. As alternative food resources become scarcer or less accessible, healthy seagrass meadows within a connected seascape represent a reliable source of protein and income for coastal communities. The seagrasses across SE Asia, as in other parts of the world, remain subject to widespread threat with conservation efforts largely marginalized. Globally, degradation of seagrass meadows has been commonly associated with increased nutrient run-off, sedimentation, damage from boats, other physical impacts, and pesticide leaching (Orth et al. 2006) (See Fig. 1a, b). In SE Asia seagrass meadows are also increasingly threatened by overexploitation of their productive fish and invertebrate assemblages (Fortes 1990; Tomascik et al. 1997). This is of particular concern where seagrass meadows offer an easily accessible and abundant food source for local people. Few faunal species utilize seagrass meadows throughout their entire life, but their use of this habitat can have significant cascade effects, supporting thriving adult populations with high fisheries values (Gillanders 2006). In SE Asia, seagrass meadows have been shown to have a hidden role in fisheries productivity that was previously attributed to other habitats (Unsworth and Cullen 2010). Links between seagrass and fisheries have been demonstrated in other areas (Warren et al. 2010) and evidence of the role of seagrass in supporting food security is emerging (Unsworth et al. 2014). Important fishing grounds in their own right, seagrass meadows also play a significant role in coral reef and other fisheries productivity. Seagrass meadows are a key component of the seascape forming important readily accessible fishing grounds (Unsworth and Cullen 2010) and critical nursery habitat (Gillanders 2006). Traditionally all tropical coastal marine fisheries are described as “coral reef fisheries.” Such fisheries to some may include seagrass, but poor terminology has led to an ill appreciation for the role of seagrass habitats in supporting fisheries productivity and hence food supply (Unsworth and Cullen 2010). SE Asia’s seagrass meadows support commercially important faunal species as well as species with high subsistence value. Yet, while many people are aware of the importance of coral reef fisheries in tropical habitats, seagrass fisheries are often neglected. Seagrass meadows are ideal fishing grounds because they contain abundant fish and invertebrates (see Fig. 1c, d), and their location in intertidal or shallow subtidal waters means they are easily accessible and can usually be exploited in all weather conditions by all types of fishers (de la Torre-Castro et al. 2014). For people with limited financial means this access can be a critical component of wellbeing (Cullen-Unsworth et al. 2014). In many areas the reliance of fishers on seagrass meadows, rather than coral reefs, as a fishing ground, contradicts the emphasis of fisheries management, monitoring, and conservation efforts placed primarily on coral reef habitats. The Coral Triangle in SE Asia is considered to be the world’s epicenter of marine biodiversity with 76 % of all known coral species, 37 % of all known coral reef fish species, 53 % of the world’s coral reefs, and the greatest extent of mangrove forests in the world (Coral Triangle Initiative Secretariat 2009). It also houses exceptional seagrass habitat with high conservation value (Unsworth et al. 2014). The area includes part or all of the exclusive economic zones of six countries: Indonesia, Malaysia, Papua New Guinea, the Philippines, the Solomon Islands, and Timor-Leste. Seagrass meadows at the center of the Coral Triangle have been demonstrated to support at least 50 % of the fish based food supply that accounts for between 54 % and 99 % of daily protein intake in the area (Unsworth et al. 2014). Given that 68 % of fishing activity in some areas occurs within seagrass meadows and not on coral reefs making assumptions about where fishing activity occurs and the biological production supporting fishers can lead to inappropriate management focus. Across SE Asia, seagrass meadows are commonly harvested at low tide for subsistence foodstuffs such as small molluscs, clams, and urchins and for commercial species such as octopus and sea cucumber. Particularly as full moon approaches, the exposed inter-tidal zone at sunset becomes a hive of gleaning activity, with numerous fishers and families collecting invertebrates, trapping fish stranded in tide pools, or bringing in tidal nets. Much of this fishing is subsistence and community-based but also includes small family fishing collectives earning a basic living selling excess catch. It involves whole families, including small children (see Fig. 1c), and as a result exists as a social and recreational activity. This type of exploitation remains largely unquantified, but it can be assumed to be increasing in areas of rapid human population growth and where dependence on seafood for protein is high (Unsworth and Cullen-Unsworth 2014). With rapid population growth, continued economic expansion, and major development pressures seagrass meadows are under increasing stress, with overexploitation of herbivorous fauna a significant issue. Due to their economic and ecological importance, and the fact that seagrass meadows are becoming increasingly degraded, management of these habitats should be a major consideration when designing local marine conservation efforts. For increased chances of success, coral reef conservation efforts must account for the inter-connectedness of ecosystems. Coral reefs rely on their connections with adjacent habitats for fish nursery grounds, supply of organic detritus and nutrients, and for fish and invertebrate feeding grounds (Harborne et al. 2006). Effective conservation and fisheries management therefore requires a thorough understanding of resource exploitation patterns and the related impacts on all marine habitats. Conservation and fisheries management should be as much focused on understanding socioeconomic and cultural issues as on pure ecological information. Stakeholder engagement is now an accepted part of natural resource management, but to be effective strategies need to incorporate the requirements of local people and their beliefs. Throughout SE Asia, coastal marine habitats are culturally as well as economically important, with many traditional ways of life intricately associated with seagrass meadows for food, recreation, and spiritual fulfillment. Given that vast areas of seagrass in SE Asia are present in archipelagos of small islands on reef systems, are often far from major riverine influence and urban development, and unlikely to be the focus of high trawling activity, threats to such seagrass meadows are either very limited or are dominated by other issues. Degradation in remote areas is largely a consequence of overexploitation of fish and invertebrate populations causing trophic cascades, localized pollution causing small-scale water quality issues, and localized mechanical damage. Threats from fishing activities (e.g., net-fishing) in the Tropical Indo-Pacific have been ranked higher than in other bioregions, reflecting the regional differences in the exploitation of seagrass fisheries and the nature of the fishing activities, but this was minimal in comparison to other impacts (Grech et al. 2012). In Indonesia and the Philippines, seagrass meadows are under increasing pressure from large tidal fishing nets that are laid for up to 100 m across the seagrass to catch all fish moving with the tide (see Fig. 1e, f). These tidal fishing devices fish indiscriminately, catching juveniles as well as low value species. Catch commonly comprises species from the families Emperor (Lethrinidae), Rabbitfish (Siganidae), and Parrotfish (Scaridae) that migrate between coral reef, mangrove, and seagrass habitats. Removing high numbers of Rabbitfish and Parrotfish may have long-term implications for coral reefs, as both families have been highlighted as playing important ecological roles, aiding coral reef resilience and recovery after bleaching (damage to corals from elevated sea temperatures) (Fox and Bellwood 2008). The juvenile catch includes fish from the Grouper, Snapper, and Wrasse families, commonly associated with coral reefs but utilizing the abundant food sources within seagrass, their success often depends on the availability of seagrass resources. In Indonesia, the tidal fishing net catch from seagrass beds has experienced declines of up to 60 % over a five-year period, which probably reflects a similar decline in the size of the fish stock (Exton 2010). Examination of satellite imagery across parts of Eastern Indonesia in particular illustrates the growing use of this intensive fishing method within intertidal seagrass areas which has knock-on effects for both seagrass and connected habitats (Unsworth and Cullen 2010). Invertebrate seagrass fisheries are also in decline in many areas with sea cucumber fisheries in particular crashing. Even at subsistence levels, invertebrate exploitation can alter and reduce the biomass and diversity within seagrasses (Nordlund and Gullstrom 2013). Commercial exploitation of seagrass fauna is common throughout the Indo-Pacific bioregion (see Fig. 1), with seagrass meadows now largely devoid of many sea cucumber species as well as the Helmet Shell (Cassis cornuta) which was collected for the curio trade. Seahorses are another important component of seagrass faunal species now threatened by overexploitation (Curtis et al. 2007). Overexploitation of fish and invertebrate populations is considered a major driver of seagrass loss (Moksnes et al. 2008). There is increasing evidence that seagrass communities are defined by top-down predator control (Eklof et al. 2009). This trend of declining predator abundance may therefore result in further cascade effects, such as loss of predators leading to increased urchin abundance with associated episodes of seagrass over-grazing, the result being a loss of cover or changes in seagrass assemblage structure (Rose 1999). The loss of key herbivorous fish populations that graze upon the epiphytes of seagrass may also lead to a loss of ecosystem resilience and potential system wide degradation (Unsworth et al. 2015). The use of cyanide or bleach and bombs by fishers is not restricted to coral reefs but is also used within seagrass meadows. Although quantitative evidence of this is limited, anecdotal evidence exists that this is commonly used in seagrass meadows. The impact of these activities on seagrass meadows comes largely from direct physical damage to the meadow. Both coral and sand is mined for infrastructure construction and repair, the demand for which is increasing with an increasing population and influxes of developmental funding, and with knock-on impacts for water quality. Mining for “dead” coral or sand beneath seagrass meadows involves physical removal of large areas of seagrass to access the substrate. Organically derived poison extracted from terrestrial plant material is used to remove seagrass from areas selected for static fishing gear holding pens. In some localities, seagrass is also physically removed from areas utilized for seaweed cultivation as it is believed that the seagrass causes damage and the spread of disease within the cultivated stock. To ensure that seagrass meadows remain at the forefront of management thinking (alongside coral reefs and mangroves) top-down support for bottom up action is required to protect seagrasses. Formal management plans are lacking. The value of seagrass meadows is recognized within the Convention on Biological Diversity (CBD) and Convention on the Conservation of Migratory Species (CMS) but beyond this recognition, management remains highly limited, with protection usually afforded only due to proximity with other “high profile” habitats such as coral reefs. To further support implementation of context specific and appropriate management planning, we need to understand the socio-cultural, economic, and environmental drivers that are resulting in seagrass decline. The abundance of small-scale fisheries across SE Asia means that fisheries management needs to identify socially acceptable and locally implementable controls on marine resource use (Cohen et al. 2013). Marine protected area management needs to include partnerships between communities, civil society, and government (Gutierrez et al. 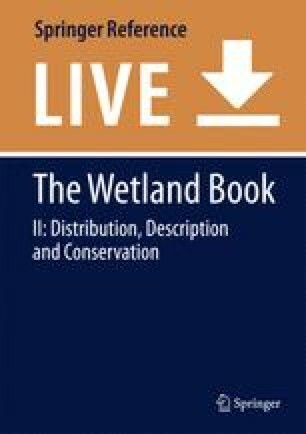 2011), so that management supports conservation at the same time as enhancing local livelihood interests. From a food security perspective, understanding food supply, its ecological origin, and the resources that support it are critical knowledge components of developing appropriate ecosystem based management actions that can foster enhancement of fisheries resources. Prohibition or controls of a specific fishing activity in one habitat type will have limited impact if those fish migrate at night into an adjacent habitat where they are readily collected by fishers. Therefore, understanding habitat links to fisheries is critical for the consideration of short-term fisheries management but is also important for understanding the vulnerability of marine systems (Folke 2006). Given the need to understand the role that different habitat types have in supporting tropical marine fisheries, the limited literature and knowledge on seagrass biodiversity across SE Asia, and the growing evidence of the role of seagrass meadows in supporting fisheries, a major future challenge is to foster widespread recognition for the role of seagrass meadows in supporting fisheries and hence local food security.